Made possible by a generous grant from the Ravitz Foundation, Michigan Council for Arts & Cultural Affairs and National Endowment for the Arts. We are pleased to welcome back Sheldon Low to our Humanity in Harmony stage. This will be the 4th time Sheldon has rocked our grand finale leading all our artists; that is after he rocks the house in his own set. 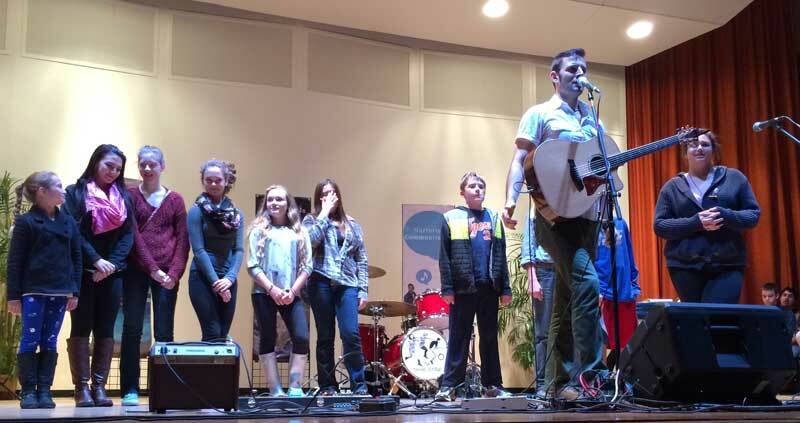 He is a Jewish educator, who loves to work with children and one of the brightest young stars in Jewish Rock Music today performing rock concerts, ‘Light Up Shabbat’ services, seminars, and leading Artist-in-Residency weekends in Jewish communities throughout North America. 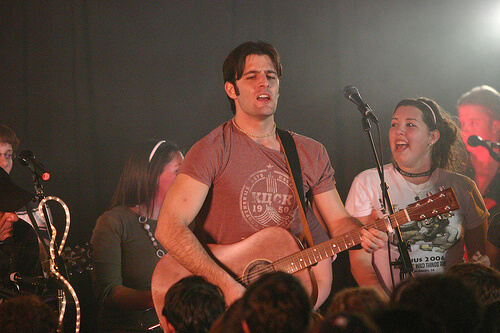 AaronJonah Lewis has been with us before, but this time he brings his entire band. 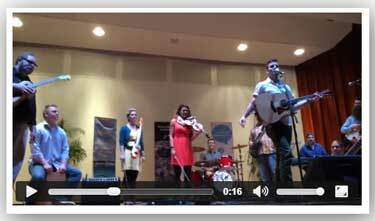 Aaron is a multi-instrumentalist, performer and educator. He is a champion fiddler and has taught workshops at the Royal Scottish Academy of Music in Glasgow and at the English Folk Dance and Song Society in London. 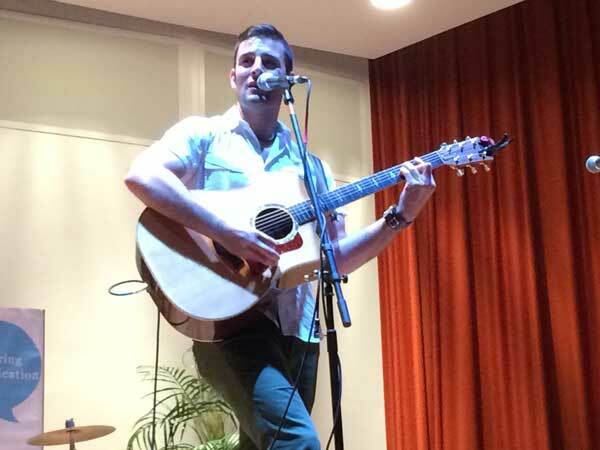 He also plays and teaches banjo, mandolin, guitar, and bass and is currently based in Detroit, Michigan. high praise in traditional American music, keeping old time fiddle and banjo music from a one-way trip to the dustbins of history. 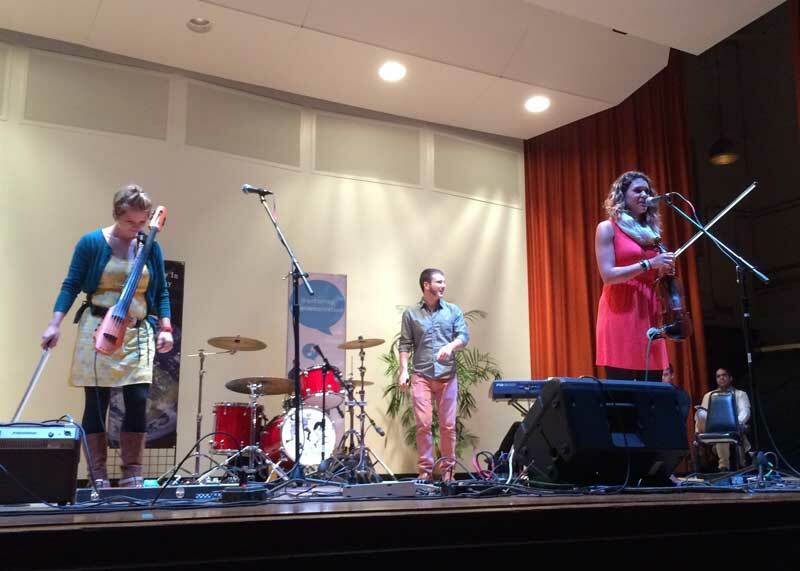 The Corn Potatos delight audiences with their driving fiddle tunes and harmonious singing across the US, Canada, Europe, Mexico, and India. They are all multi-instrumentalists dedicated to continuing the music and dance traditions of the Central and Southern US. In addition to being champion fiddlers they play banjo, guitar, bass and mandolin and deftly handle many different antiquated styles including ballads, “ho-downs,” country “rags” and southern gospel, specializing in twin fiddling and double banjo tunes. 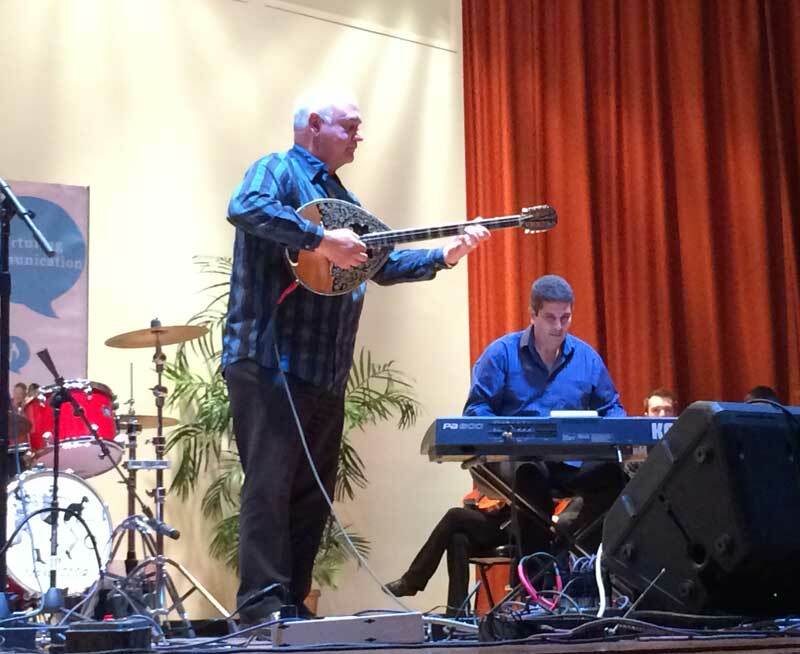 Reichlin Small is all about jazz, he has been a mainstay of the local and regional Jazz music scene for years. A product of a musical family (his mother was a gospel and opera singer, and one of his sisters played classical piano and flute), Reichlin started early, as many children do, on piano. He found out quickly if he heard it he could play it. the guitar and violin, and found his real focus. He still plays the other instruments, but his focus is steadfast on strings. He plays all over Michigan with his group and as a sideman for the stars like Carl Carlton and Ralphe Armstrong. Northern Renaissance is a musical visit to the 50’s and 60’s, the 1550s to the 1660s. The sounds were new, the instruments were new and there were many who were experimenting with music. it was more challenging. Instead of just one simple melody, this new “Renaissance” sound could have two or more melodies that worked together; it was the beginning of modern music!. Northern Renaissance players are all accomplished musicians; James Blum, Thomas Butts, Eric Nisula, Mary Pawloski and Deanna Tibbits. They will transport us back to that era as we listen to those sounds using; recorders, viola da gambas, lutes, guitars, Irish whistles, hurdy-gurdys and percussion. Part of the memorial to Daniel Pearl is to consider not only Daniel Pearl’s love of and interest in music, but also to look at his chosen profession, as a journalist. A journalist is someone who tells a story or passes on information. They transport readers into a world different from their own. A great journalist can take us to refugee camps in the Middle East like Daniel did, they can; help us understand another culture, teach us why something happened and prepare us for what may happen next. 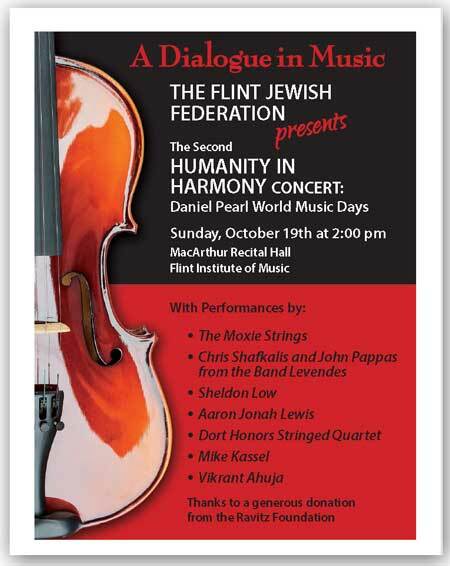 The Humanity in Harmony program once again recognizes a journalist as the Humanity in Harmony-Daniel Pearl World Music Days Journalist in Residence, to go along with the Flint Journal/M-Live Flint Jewish Federation Journalism Scholarships. This year’s scholarship theme: You don’t have to be overseas to be in a dangerous area. Why do reporters go to a dangerous neighborhood to get a story? Why is it important for us to know what is going on the other side of town, or the tracks, and why would a reporter go there just to tell a local story? To address this topic we looked locally. The Second Humanity in Harmony-Daniel Pearl World Music Days Journalist in Residence is Eric Woodyard, a Flint area native and currently a reporter for MLive.com and The Flint Journal. Eric Woodyard is an award winning local Journalist at MLive.com and The Flint Journal. While Eric doesn’t report from the Middle East, or from any other war zone, he has found himself in some scary places, and still insists on getting a story and telling it right. Why a local reporter? Reporting can be a dangerous business even here in the States. There is less glory in a local story than one from the battle front of a war, but both reporters are important to our American Democracy. Woodyard is a 2006 graduate of Flint Southwestern Academy and a 2010 graduate of Western Michigan University. He is a native of Flint and author of the book, “Wasted”. He has interviewed stars such as LeBron James, Snoop Dogg, Russell Simmons, J. Cole, and Steph Curry. He has one son, Ethan. He has appeared on ESPN’s Outside the Lines, covered stories local and with a national flavor. His book ‘Wasted’ is a gritty look at life in Flint’s North side, for many the bad side of the tracks, for Woodyard, home! Why he tells stories, of people and events, why he thinks these stories should be told is what he will talk about to young people and to local service organizations. Congratulations to the 2016 Daniel Pear World Music Days Journalist in Residence Eric Woodyard! 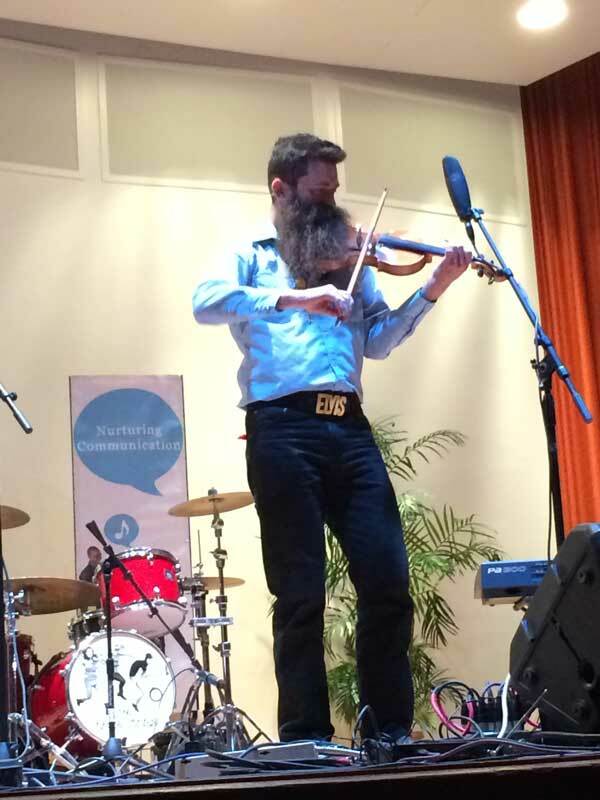 Learn about Appalachian,Texas contest and twin fiddling styles and learn a Corn Potato Band song. 2 – 4pm Just Write Songwriting! “We Are The Northern Lights” indie pop duo examine popular lyrics and explore effective song craftsmanship.